Up until recently I have really hated running for more then about 400 meters or unless I was chasing something like a soccer ball or frisbee. I always remember having severe left arch pain even since the days before High School track and field. Upon moving to New Hampshire in fall 2004, I was thrilled to find out that Stonyfield Farm Yogurt was in my backyard in Londonderry, NH (and took a factory tour…when they still did factory tours). This past winter I was given a recommendation to look into midfoot/forefoot running to have a better chance of eliminating my arches from the heel/toe impact. I purchased some Saucony Kinvara IIs and read a bit about Running Chi. I initially practiced the form, went for 2.5-3.5 mile runs at least 2 days per week (thanks Sarah!) and it all felt pretty good…then frisbee season started…and stopped the extra running. I haven’t perfected the running style, but the lower heel block (4mm vs. the 22mm of a typical running shoe) helped reduce my pain quite a bit. I saw on The Facedbook that Stonyfield Farm was holding an Earth Day 5K on the 21st. I thought, well why not!? 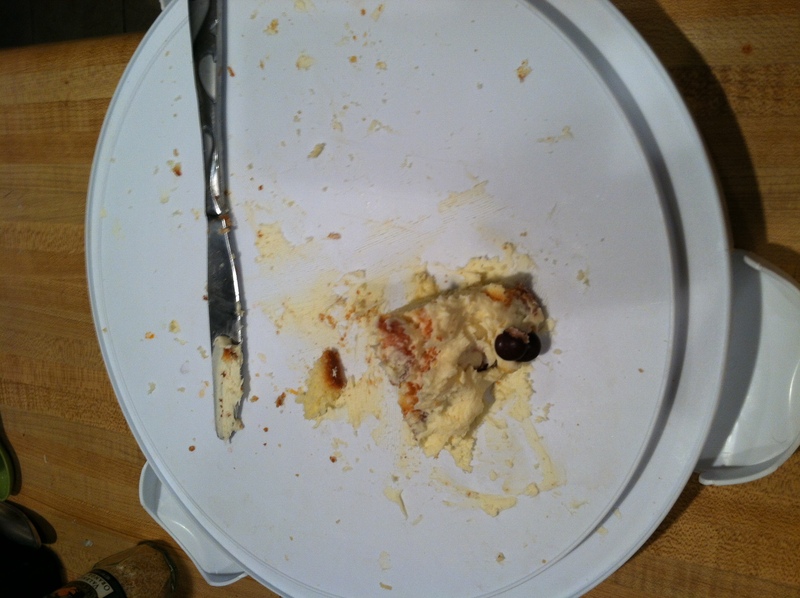 I like Stonyfield and I like running (more now), it’s close, let’s do it! 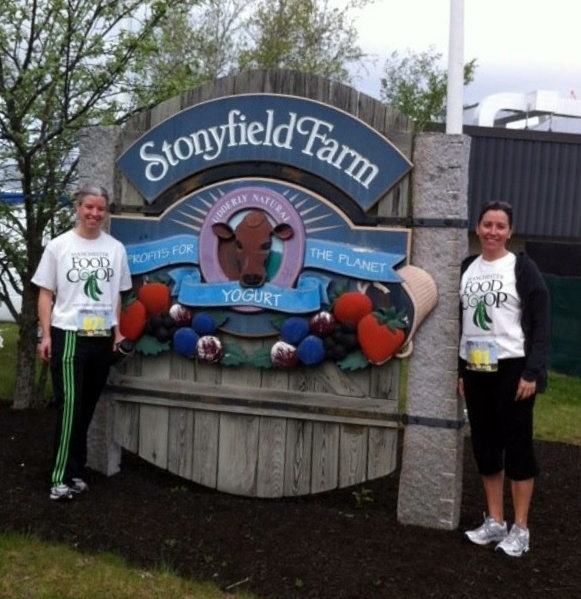 Becca and Sarah Pre-5K, getting water near the Stonyfield Farm sign! 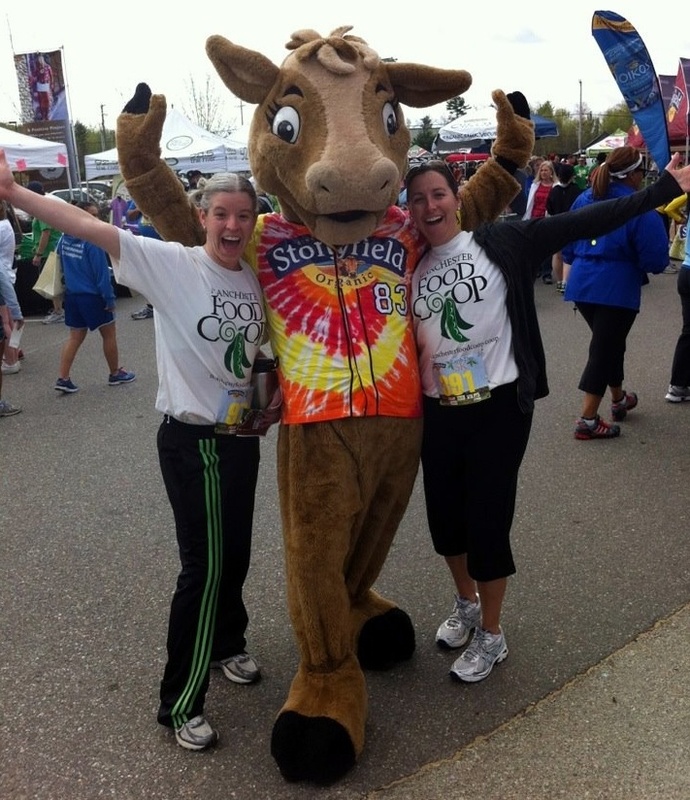 Pre-5K with Gert the Becca, Stonyfield Cow, Sarah and Manchester Food Co-op! The course was relatively flat in an industrial park with some rolling hills just outside the Stonyfield Yogurt factory. There were a lot of folks who decided to walk the course and insisted in being at the front of the pack at the start, so it was interesting weaving in and out of walking traffic. Excited for the Conaway cheering section! Who needs good running form anyway? It was a beautiful day, had a chance to represent the Manchester Food Co-op Initiative, run a 5K with 2 good friends Sarah and Kiersten and have a wonderful Conaway cheering section (thanks for the pictures guys!) There was a great Earth Day Festival afterwards with yummy (free) food and drink! The guy behind me is laughing..at me or Dave (taking the picture)? 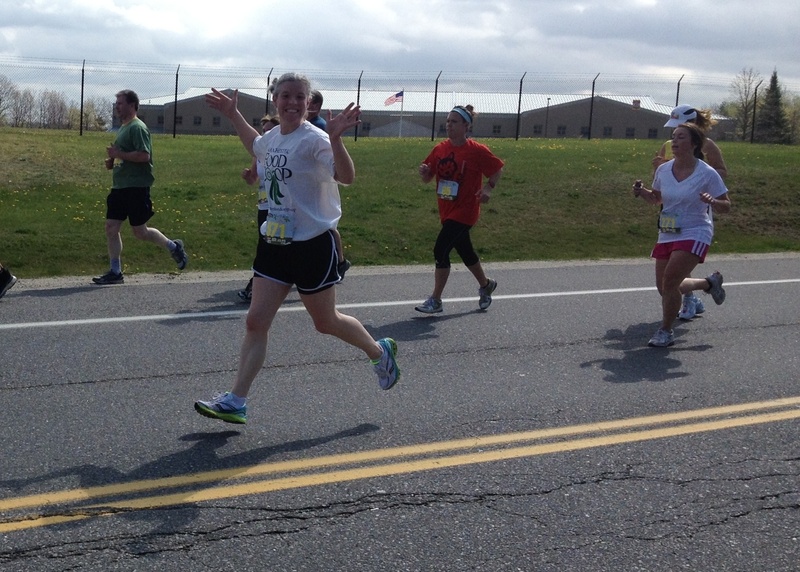 In the end, I ran about a 9:33 mile and was never sucking wind…so I was happy with that. And, due to the excitement of the race I totally didn’t focus on my running form and got some arch pain on mile 2, but it worked itself out by the end of the race. 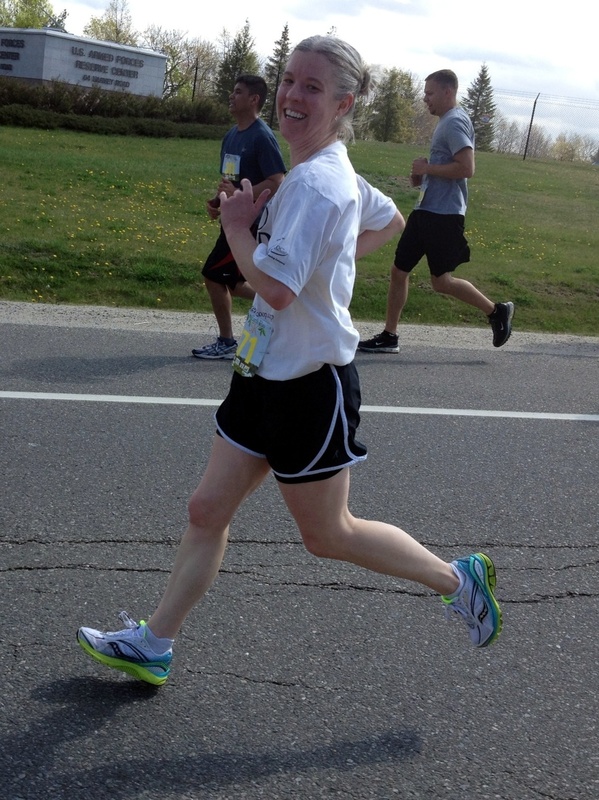 I would love to get my time down a bit for when (and if) I choose to run another 5k in the near future. SMILE!! Still not midfoot running, better practice!! 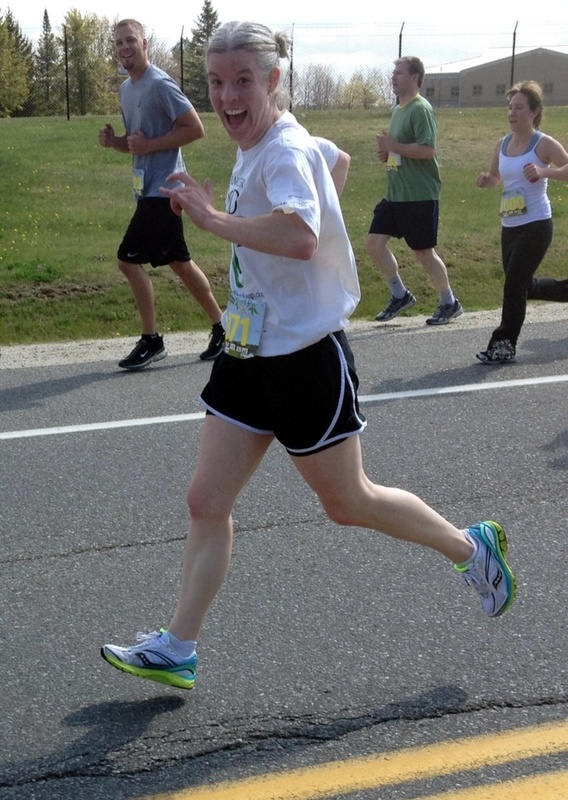 The Stonyfield Earth Day 5k was a cute little festival, it was packed with folks probably due to the gorgeous weather. We hung around for a bit, consumed many dairy products and got a massage by a local massage school…fun fun! I would definitely consider doing this race again!! 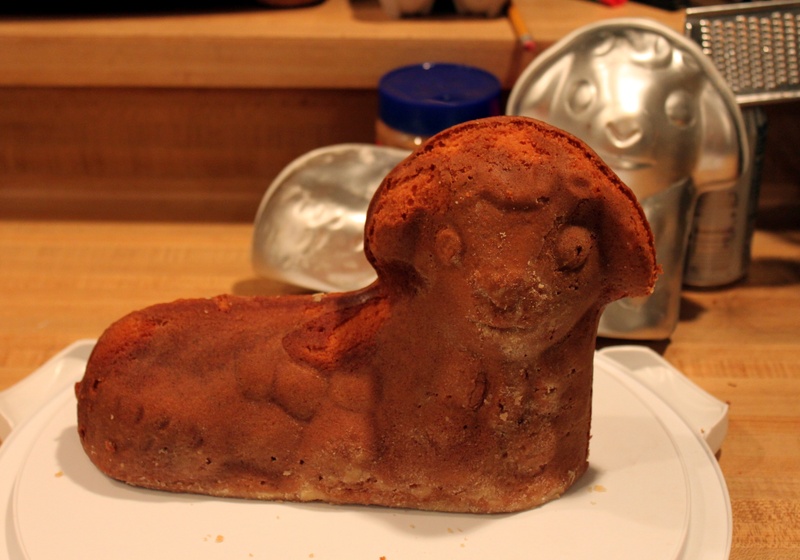 Though Mike and I were not hanging out together for Easter this year (He at Pax and me in CT) it was still appropriate to make a Lamb Cake! 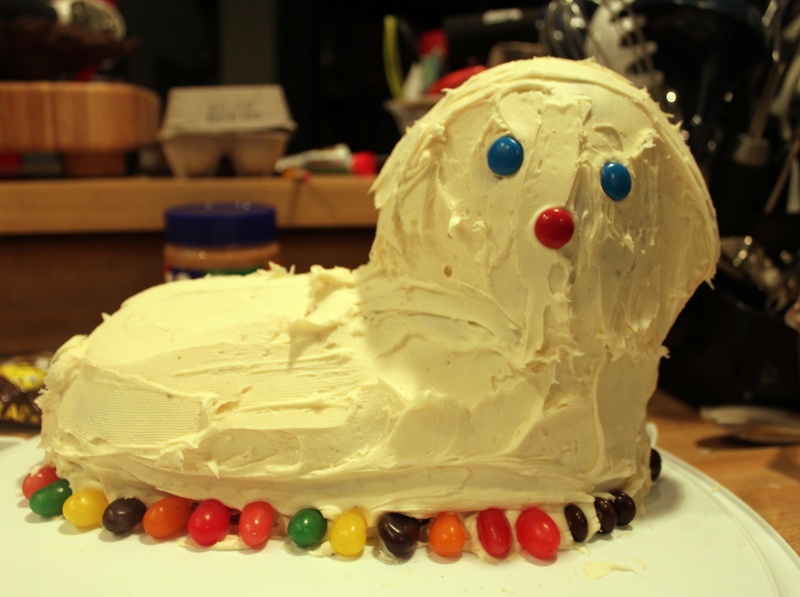 Here are the highlights from the 2012 LAMB CAKE! 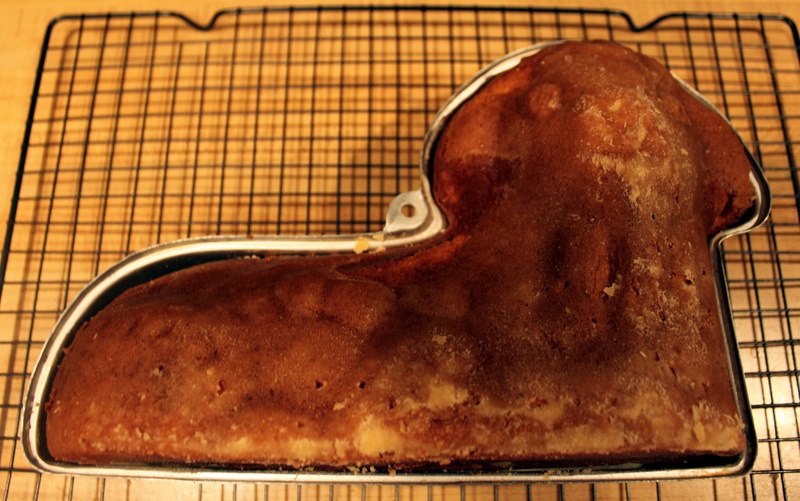 Click on a picture for a closer look! 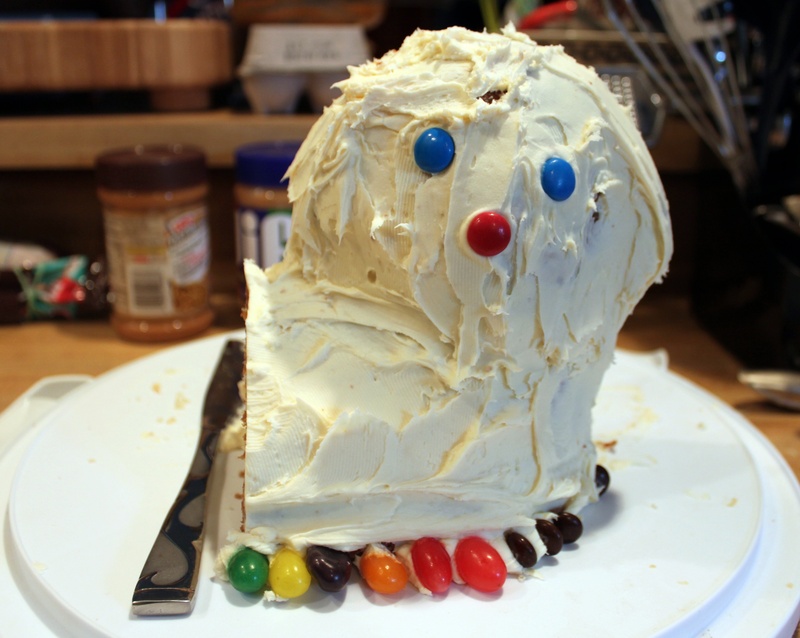 The greatest trick the Lamb Cake ever pulled was convincing the world he didn’t exist.